Of the three in-house cabriolets offered on Mercedes’ 500K chassis, the four-seater Cabriolet B is the most common, with 296 examples produced (between the 500K and 540K). Why is it then that this is the first 500K version I can remember coming up for sale? I mean there were more than double the number of these made compared to the Cabriolet A and Cabriolet C – and those are both better-looking cars. The 500K was built between 1934 and 1936 and is powered by a supercharged 5.0-liter straight-eight capable of 160 horsepower. This particular car was one of the final 500Ks built and was actually equipped from the factory with the 540K’s 5.4-liter, 180 horsepower engine. This car, which was once owned by Donald Healey, features a rebuilt engine with its original body and interior. It is one of 342 500K examples built and should bring between $675,000-$900,000. Click here for more info and here for more from this sale. 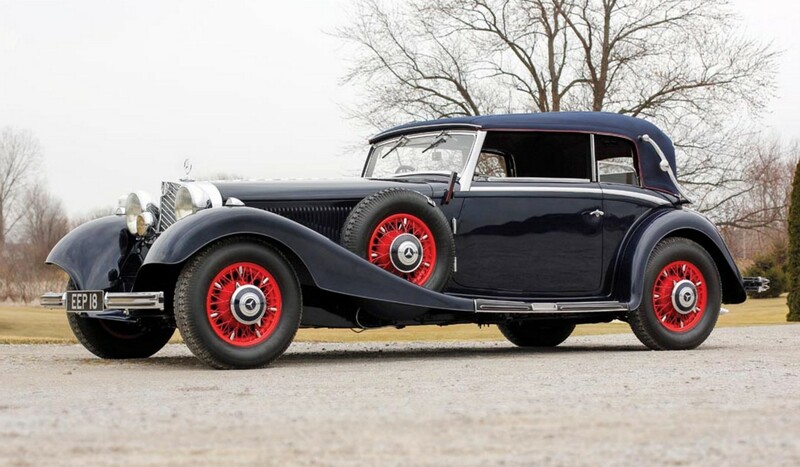 This is a slightly more “standard” 500K – even though it is so beyond most of its 1936-era contemporaries. Most of the 354 500Ks built fall into specific categories such as Cabriolet A, Cabriolet B, Cabriolet C, Special Roadster, etc. 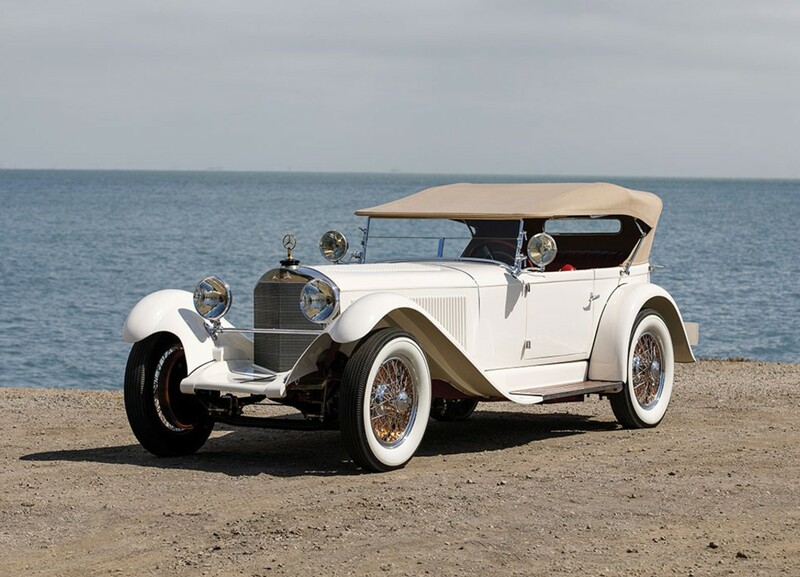 This is a Sports Roadster and is one of somewhere between seven and 12 such examples built. There is a category of “other open cars” with regards to 500K body styles and this would fall in there. The engine is the standard supercharged 5.0-liter straight-eight making 100 horsepower or 160 with the kompressor engaged when the throttle is held wide open. This car was delivered new to London and later ended up in Florida. In 1989, it returned to Europe – this time Sweden. It’s a wonderful example of one of MB’s all-time great models. It should bring between $3,900,000-$5,000,000. Click here for more info and here for more from this sale. 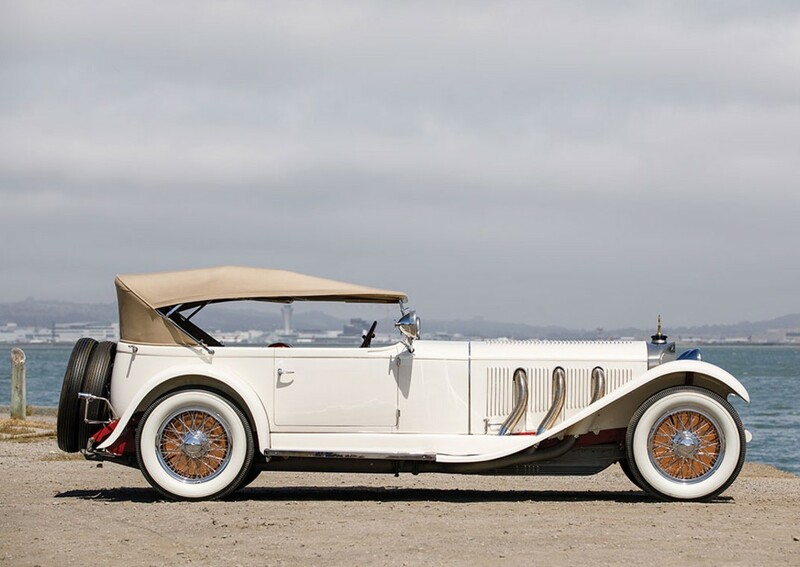 The fact that this car looks so fresh as if the body was constructed during a restoration – but wasn’t – signifies that it is something special: it is entirely unique to this model. Jacques Saoutchik is responsible for some of the most beautiful designs of his era. And to have one of those stylish bodies on one of the greatest chassis of the era is quite a feat. 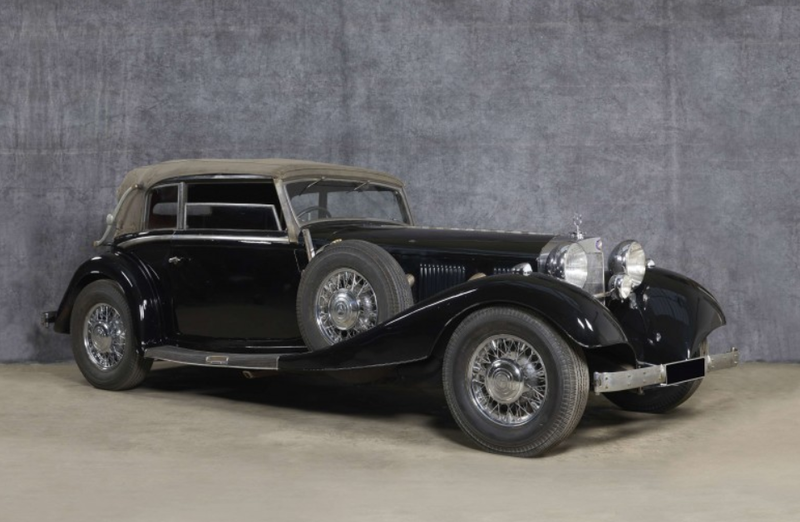 The Mercedes-Benz 500K is one of their most sought-after models with only 354 built. They are powered by a 5.0-liter straight-eight making 100 horsepower or 160 with the supercharger engaged. This particular chassis was displayed as a bare chassis at the 1935 Paris Salon. It was sold new to California and remained there until the current owner acquired it in 1989. It has been restored but it hasn’t really done the show circuit. It’s quite the ticket and should bring between $6,600,000-$7,700,000. Click here for more info and here for more from this sale. 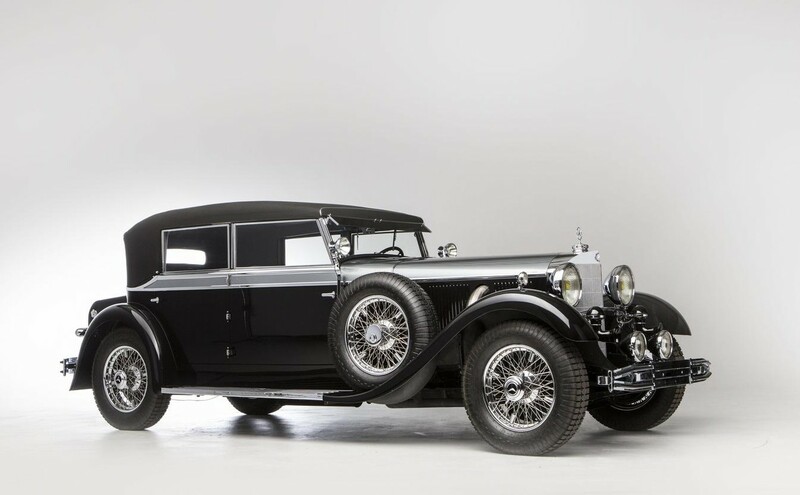 RM Auctions is offering an incredible collection (all from the same owner) of Mercedes-Benzes. Like 70 or 80 cars – it’s an entire day of the auction. Anyway, there are a lot of old Benzes in the sale that I’ve never seen before. Many are more generic, pedestrian models than this 500K (but sometimes that’s even more interesting). The 500K was the followup model to the 380K. 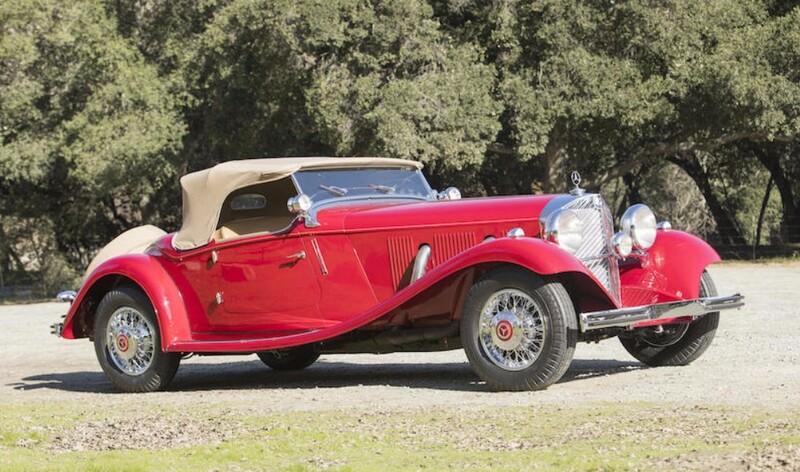 It was introduced in 1934 and uses a 5.0-liter supercharged straight-eight engine making 100 horsepower and 160 with the supercharger engaged. The body is by Sindelfingen – Mercedes’ then in-house coachbuilder. 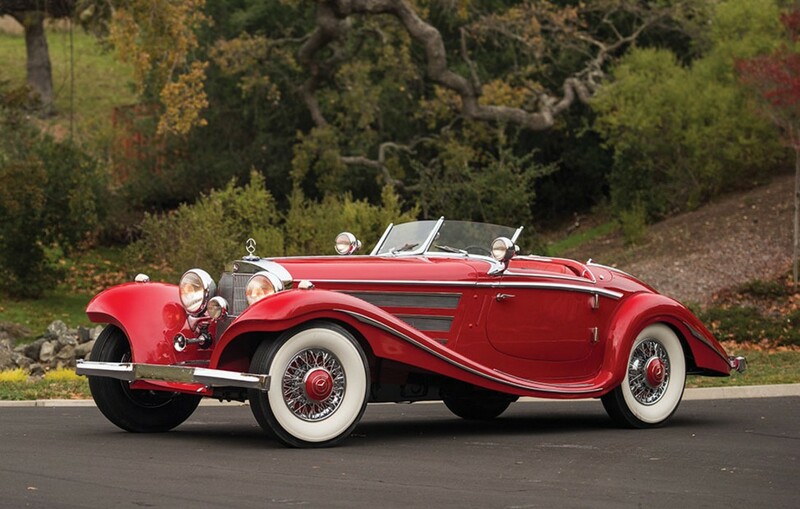 Between the 500K and the 540K, only 122 Cabriolet C bodies were built. This car has been beautifully restored and the interior shows signs of use. 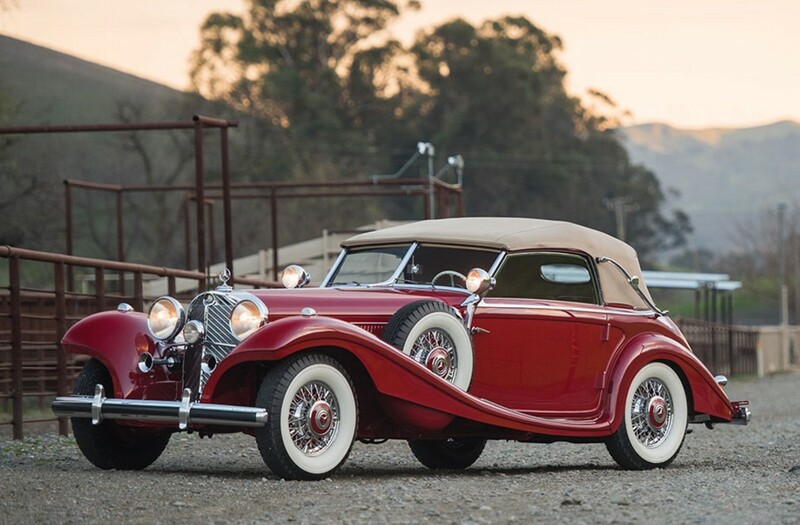 It would make a great driver – something that is rare among these high-dollar Mercedes cabriolets. The pre-sale estimate on this car is $1,100,000-$1,400,000. You can read more here and see more from this auction here. Update: Not Sold. High Bid of $1,025,000. Last week (or the week before, I’ve lost track) we featured a MB 540K. This was that car’s immediate predecessor. 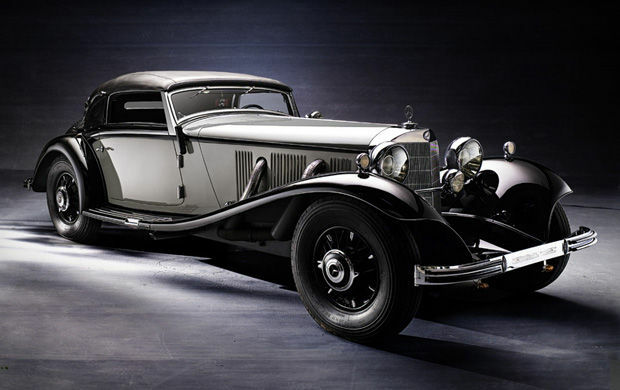 The 500K was introduced by Mercedes in 1934 and last until 1936. This car is brilliant in gray and black with red interior – it’s dark and menacing, just like the 1930s Germany that spawned it. 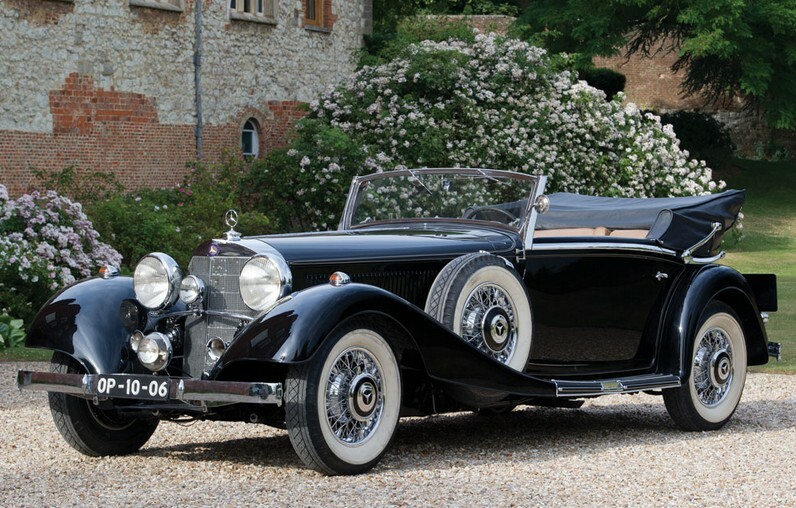 It defines luxury and style of a time and place – and that was Germany in 1935. The engine is a supercharged 5.0-liter straight eight making 160 horsepower (with the supercharger engaged). 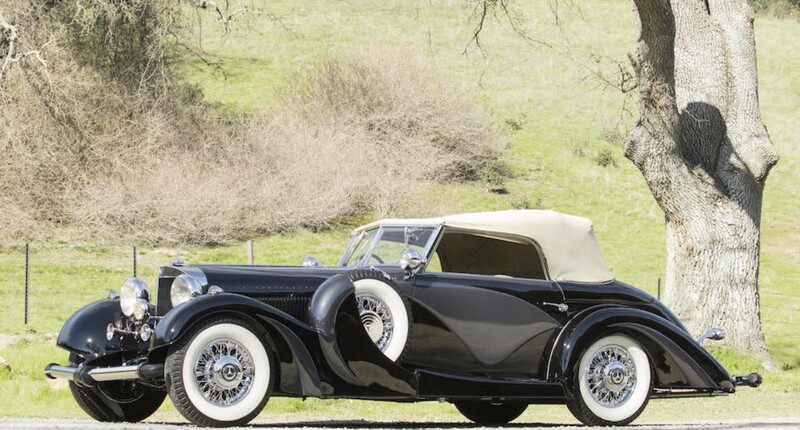 Only 342 500Ks were built, and only 33 carried Mercedes-Benz’s in-house Sindelfingen Cabriolet A coachwork and only 11 of those still survive. This car is imposing – especially with twin rear-mount spares. This one managed to survive because it was purchased new by a Swedish Baron, who kept it at his castle. It was parked in 1948 and sold in 1950, and then it hopped from owner to owner, being restored for the first time in 1963. It remained in Sweden until 1983 when it went to a collector back in West Germany. It was expertly restored in the late 1980s and has been preserved since. The 20+ years of use give this car a patina that makes it appear to have never been restored since new, which is really cool. It is being sold from a Dutch collection and should bring between $2,500,000-$3,000,000. For more info (and gorgeous pictures), click here. And for more from Gooding, click here.